Our coatings are going to Mars! Why do you care? The European Space Agency (ESA) and Russia's Roscosmos have teamed up to explore Mars for signs of life. The multi-wheeled solar powered rover will roam the surface of Mars yelling "Hey is anybody out there?". Kidding! 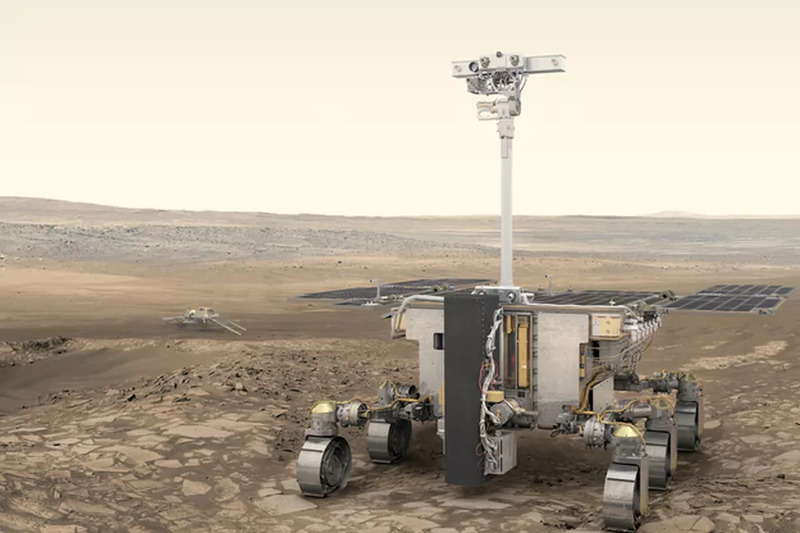 Actually the rover will have everything needed to detect traces of life or former life on the plant. The mission is truly a world-wide effort with the rover being built in the UK and scientific components being sourced from multiple continents. The rover will have ground penetrating radar, high resolution cameras, and the ability to drill and sample up to 6 feet into the soil. The Rover will feature it's own laboratory that can detect a wide range of organic molecules in a search for molecular bio-signatures. In other words, they're looking for signs of life on Mars. Not exactly as effective as taking a selfie with a Martian but not a bad effort. The analytical package will have instruments capable of analyzing trace compounds reliably and accurately. That's where we come in. Read the Mars Rover Instrument Cluster Whitepaper. To endure the extremes of space, you need a high durability coating that can remain inert under high and low temperature while staying bonded to the flow path surface during launch and re-entry. That's why our coatings were selected for the mission and that's why you should consider our coatings for your extreme environment. Be it in a downhole sampler, a semiconductor fab shop, or petrochemical plant, our coatings are made to withstand extreme environments. Coatings for high temperature applications: Watch our heat resistance demonstration video and see for yourself. SilcoTek® coatings, like SilcoNert® and Dursan®, are bonded to the part surface by chemical vapor deposition. The coating process bonds and diffuses our silicon coatings into stainless steel, glass, ceramic, and other metal alloy surfaces. 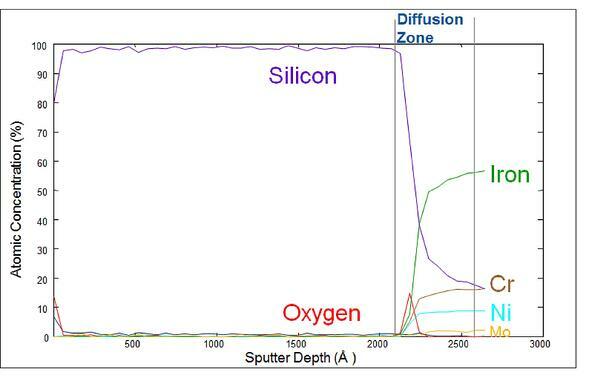 The Auger plot below shows how the SilcoNert coating diffuses into stainless steel surfaces. As the Auger electron beam bores into the surface the beam spatter is analyzed. This essentially maps the layer materials as the beam penetrates the surface. The silicon from the SilcoNert coating is clearly defined by a diffusion zone with the stainless steel surface. The secure bond to the stainless steel prevents the coating from delaminating from the surface. An ideal coating for extremes of space flight but also vital for field sampling, oil and gas analysis, semiconductor manufacturing, petrochemical and process applications. Once the coating is bonded securely to the surface it must prevent interaction and adsorption of the flow path material with the sample. SilcoNert does not react with the sample, assuring near 100% of the analyte reaches the detector. 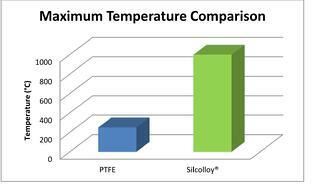 The comparative relative response of SilcoNert exceeds the performance of less durable polymeric coatings. So after launch and enduring the extremes of space, the coating is able to prevent interaction of the sample with the flow path. This assures consistent and reliable analysis. This project happens to be on Mars but reliability is just as important when sampling your process or product. 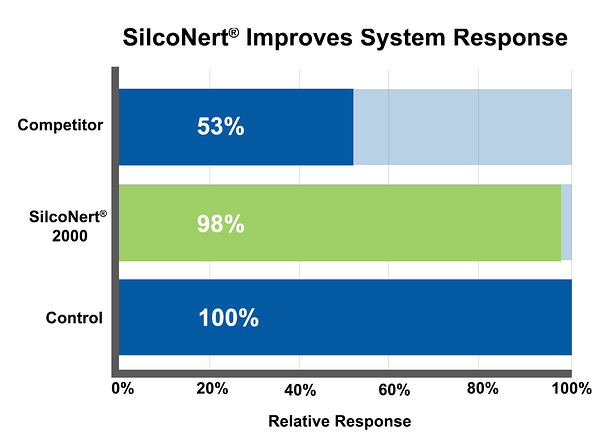 SilcoTek® coatings offer major improvements to inertness in sampling systems. But keeping your flow path inert may not be the only issue to consider. If the sample or sample environment is corrosive, abrasive, or otherwise extreme you'll want to consider other benefits our coatings offer. Coating the entire sample flow path with an inert silicon coating like Dursan®, helps to prevent formation of adsorptive instrument corrosion particles and increase the life of the sample system. Rust particles can be tremendously adsorptive, the presence of even a small amount of rust can reduce sampling accuracy, increase calibration failures, and distort peaks. All of which will require more analyst time and money to resolve. 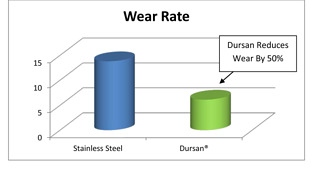 The Dursan coating technology improves corrosion resistance by orders of magnitude compared to uncoated stainless steel. Instrument probes, tubing, fittings, filters, and regulators exposed to corrosive sampling streams can be made both inert and corrosion resistant by coating the wetted surfaces with Dursan®. 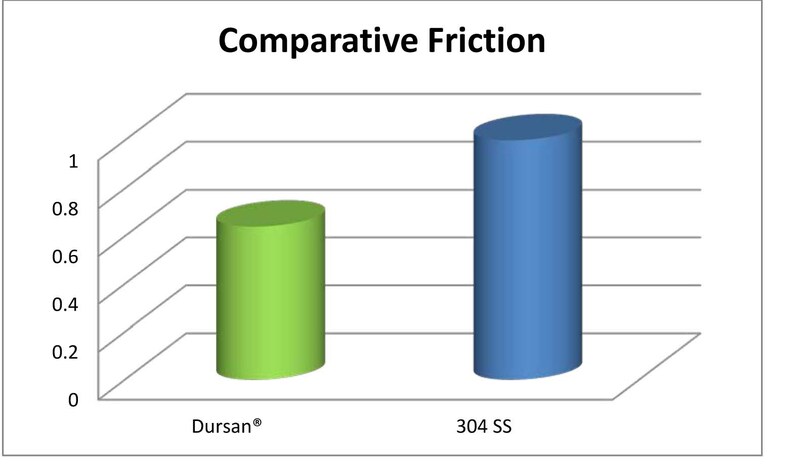 Dursan can improve acid corrosion resistance 10x or more while assuring your sample flow path is inert down to low part-per-million sensitivity. Applications like downhole tools, slider valves or rotating valves can bind under stress; damaging the sampling tool, while exposing potentially active sites to your sample and reducing sample accuracy. Dursan® significantly reduces sliding friction and binding, preventing binding or damage to flow path surfaces. Wear resistance is also improved. Stainless steel surfaces are relatively soft and can erode over time. Erosion can expose potential active sites and reduce system life. SilcoTek's chemical vapor deposition process incorporates a durable coating into the stainless steel surface; enhancing both inertness and durability. While Dursan is not suitable for extremely abrasive environments, the coating will improve durability in particulate rich environments like stack and exhaust sampling. Inert surfaces like PTFE can quickly degrade when exposed to temperatures above 250°c and will become brittle in cryogenic environments. Sampling cryogenic liquids, high temp reactors, stacks or flares can easily exceed the capabilities of PTFE and other coatings. SilcoTek offers inert coating solutions for environments ranging from -270°cup to 1000°c, allowing accurate sampling without damaging the sampling pathway. Why this matters to you. Being able to fly in space and endure the extreme temperatures, vibration, and shock of landing on Mars has real benefits for more "earthly" applications. 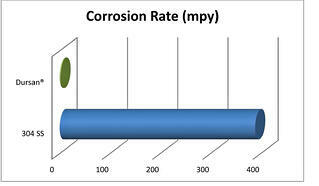 Inertness, durability, and corrosion resistance are key attributes needed for successful sampling and product protection in industries ranging from oil and gas exploration, refining, petrochemical and process industries, and field sampling, environmental sampling, semiconductor processing and life science analysis. 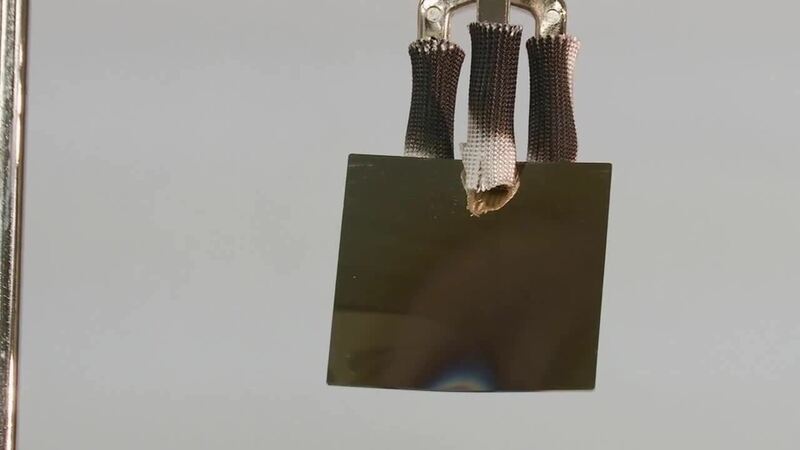 There may not be Martians on Earth but there sure are plenty of applications that need the same capability from a coating that can fly to Mars. There are many potentially damaging and reactive conditions that can ruin an analyst's day. Our Tech Service Staff is available to discuss your inert coating application. 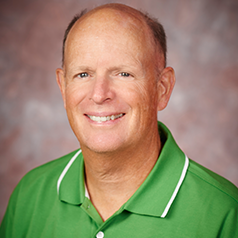 Want to learn more about how to improve the durability of your sampling surface? Ask the experts, join us on LinkedIn.